Every Thursday this month, get a sample of what goes on at THE PULP AND MYSTERY SHELF, a site inspired by SHANNON MUIR’S INFINITE HOUSE OF BOOKS dedicated to featuring authors from the mystery, crime, suspense, science fiction and fantasy genres. This week highlights BLIND JUSTICE by Nathan Burrows. DISCLAIMER: This content has been provided to this site by Silver Dagger Book Tours. No compensation was received. This information required by the Federal Trade Commission. I’ve got pretty narrow tastes really. Anything by Michael Connolly, Lee Child, or Peter James is right up there. 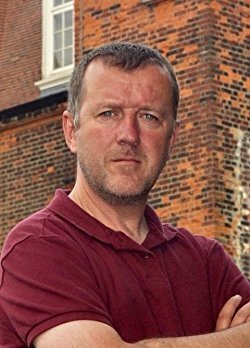 I also enjoy Val McDermid, John Connolly, and most of John Grisham’s works. For a touch of levity, anything by Douglas Adams. I tend to research as I go along once I’ve got the main plot points down. If I’m writing something out of my personal experience, I’ll normally do an initial draft to get it out of my head, and then go back in and ‘colour it in’ once I’ve researched a bit more about the subject. I’m not one for absolute accuracy though – it’s a work of fiction so I’m happy to let minor factual inaccuracies through if they keep the momentum going. Yes, I do. But not yet for me! I’m hoping to get to a point in the future when I can realistically consider giving up the ‘day job’ and writing full time, but this will only be when the time is right. I’ve got a family, a mortgage, and so on. If I didn’t, I might make the leap earlier, but I can’t take any chances that will affect other people. It’s fascinating. The whole ‘trad versus indie’ debate is really interesting. On the one hand, it’s opened up publishing to anyone and removed the barriers. This is a double edged sword really, as it also means that anyone can publish anything, and the floodgates have really opened. 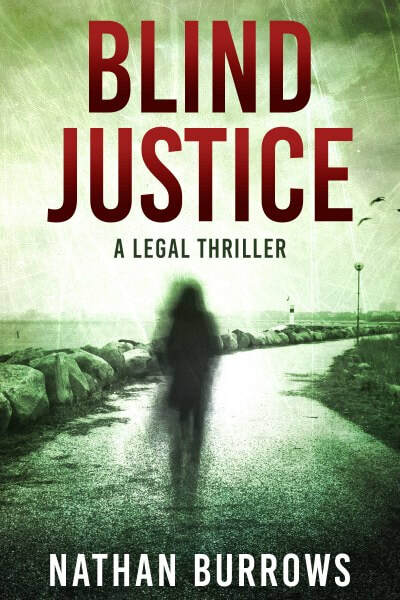 My belief is that the cream will rise to the top, which is why I’ve been so keen to ensure Blind Justice is as good as it can be before publishing – I’m hoping that it will rise! The market is definitely saturated with indies at the moment, with some massive success stories peppered among them. There’s a lot of casualties as well, and the market that has sprung up to ‘support’ independent authors is enormous. You can’t turn one way or another without being pitched to by someone offering a magic marketing bullet or something similar! I do read a lot, but nowhere near as much as I’d like to! I enjoy crime, thrillers, police procedurals, anything along those lines is fine by me. Either. I’m happy writing in silence, with music on, or with the television playing in the background. I’d rather have some noise though – I find that the act of tuning it out actually helps me concentrate. The habit I’ve got into now is to have one book being written, and another being edited and finalised for publication. At the time of Blind Justice being published, I’m about half way through the first draft of my next book, Meat. Once I start editing Meat, I’ll start on the sequel to Blind Justice. Mac all the way. I use Scrivener, which is the best thing ever for writers. I work on the road a lot, and use the companion app on an iPad. It all syncs in the cloud, and is fantastic. Blind Justice took a year, start to finish. The actual book itself took on a life of its own, and ended up being much longer than planned. This then made the editing process much longer as well! A lot of this time was spent developing habits, so I’m pretty sure then next book will be much quicker.